"Defend yourself against the zombies using nicely looking plants in this Addictive game of "tower defense" type." 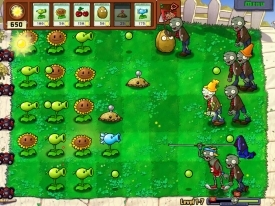 Finally one of the most famous games for mobile devices Plants vs Zombies is available on PC. In this game we will have to protect our home from zombie attacks using different types of plants that shoot with their seeds and make other kinds of attacks for avoiding zombies to arrive to our Home. The mechanics of the game is very simple and is made in a similar way as other typical tower defense games. A horde of zombies of different kinds will want to arrive to our house crossing the garden, and to avoid this from happening we will have to locate various kinds of plants to face zombie enemies with different types of attacks. For that, in each level we will have to choose from plants that we already have. Each plant requires a number of collected points for being planted on the board. There are some that slow down the enemies; others shoot in a stronger or weaker way, that’s why we have to find out the best way of positioning them so that they complement each other. The levels get more complicated according to how good we are at destroying the zombies, each time they will be stronger, they may use some vehicles and they will be much more difficult to kill. We will have to update and make each plant better, remove the weak ones replacing them with stronger ones, this all thanks to the coins we are going to gain along the game for getting more expensive and advances plants. Plants vs Zombies is a game made in cartoon style and it’s really addictive. It will keep us attached to the screen for hours. This demo version gives us an opportunity to try 60 minutes of the game absolutely for free. 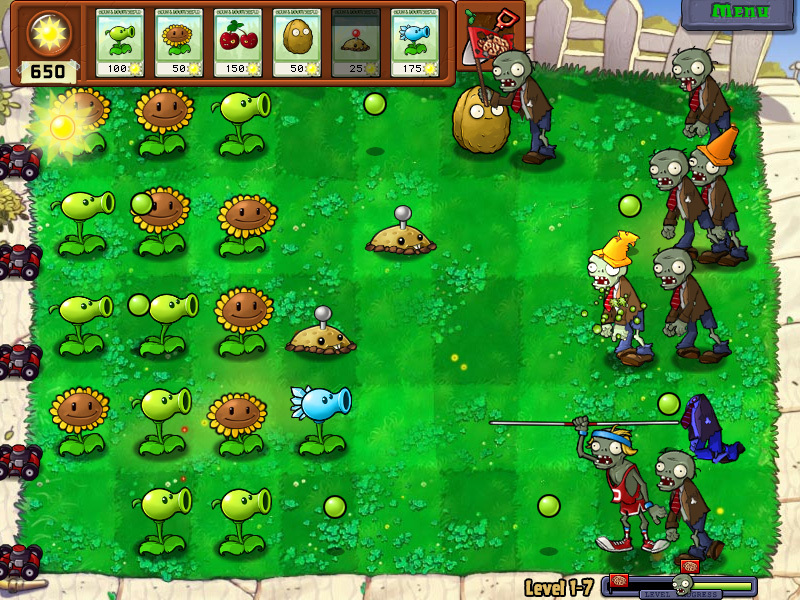 Plants vs Zombies is a kind of a tower defense game. We will need to place various objects to try and stop enemies’ horde (in this case it’s zombies) before they reach a specific point.